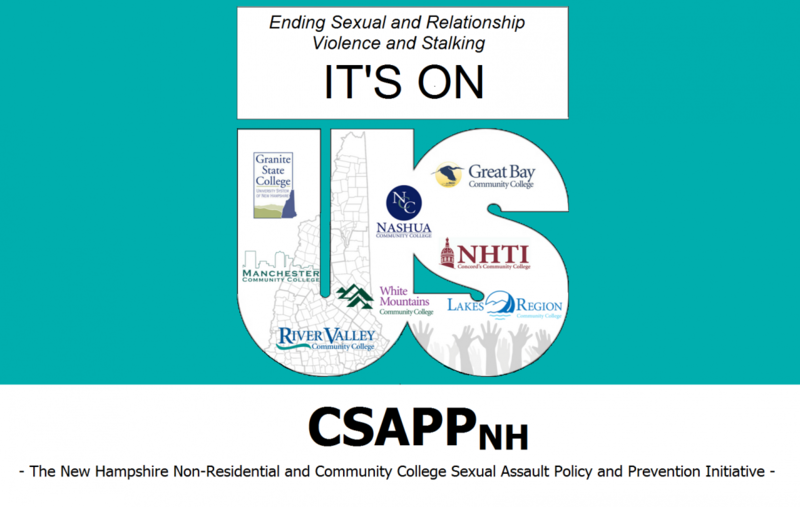 The CSAPPNH Spotlight is a semi-annual newsletter focused on highlighting the work of Task Forces, TAG Members, and partner organizations across the state in our collective mission to prevent sexual and relationship violence and stalking in New Hampshire. The CSAPPNH Listserv is managed by PIRC and used to disseminate information and resources related to college sexual violence prevention with College Partners and TAG Members. Additionally, subscribers are invited to share information about conferences, trainings, and other events across the State of New Hampshire that may be of interest to CSAPPNH members. To subscribe to the CSAPPNH Listserv, click here.